When you don't have a lot of time, these quick and easy ham and potato patties is an excellent option. The simple potato and chopped ham mixture is coated with flour or breadcrumbs and fried to perfection. It's a good way to use leftover mashed potatoes and ham, or make these with corned beef or finely chopped pork or beef. In a bowl, combine the chopped ham with mashed potatoes, onion, salt, and pepper. Form mixture into 1/2-inch patties (or croquettes) about 3 inches in diameter. 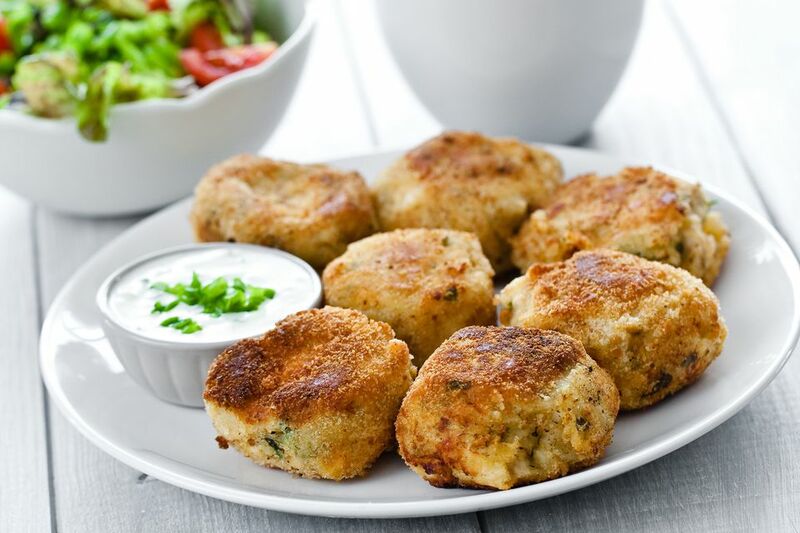 Dip patties in flour or breadcrumbs, coating both sides. Heat butter and oil in a large skillet over medium heat. Fry patties for about 5 to 7 minutes on each side, until hot and lightly browned. Use leftover cold mashed potatoes or chill freshly made mashed potatoes before shaping. These little croquettes lend themselves to all kinds of variations. Add leftover chopped broccoli or other vegetables to the potato and ham mixture. Serve the patties with a seasoned white sauce or cheese sauce.